A t-shirt created by Buffalo Mass Mob for Blessed Trinity, with proceeds going to our parish. 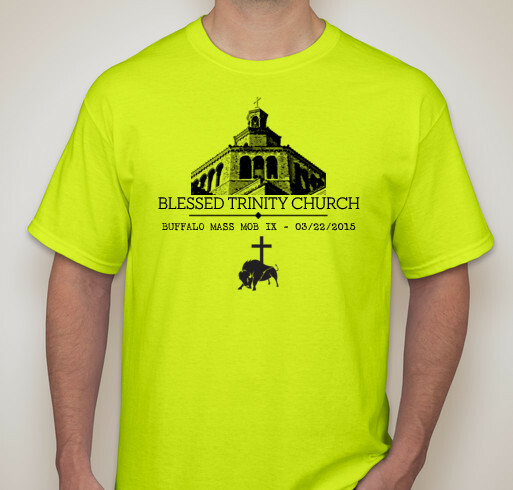 Buffalo Mass Mob has created a keepsake t-shirt for Blessed Trinity’s March 22nd Mass Mob IX. This is a “limited edition,” available online and only through February 28, with all proceeds from the sale going to the parish. If you are interested in purchasing a souvenir t-shirt for $20, Click HERE.